Who’s in-market for your product? The answer to that question is the holy grail. It’s the one thing that all marketers want to know, regardless of industry, location or B2B vs B2C. But how do you know which users are most likely to buy from you? It requires intent data - the intelligence built by collecting and connecting the behaviour of a user’s online and offline activities, including searches, content downloads, video watches, events attended and so on. With intent data, marketers can target far more effectively, reduce waste and increase ROI. On the face of it, it may seem simple. And to some extent it is. But only over the last few years has the technology come easily available (including our own in-house proprietary intent-scoring tool, Argus) to make it accessible. There’s no real definitive answer to this question. Like everything in marketing - it depends on context, quality of data and planning. But when utilised effectively it can reap hugely positive results. Over the past month we have been looking at our own intent data to see if it is increasing engagement in our campaigns. To do this, we compared the success of two identical email-led whitepaper download campaigns. One of these campaigns used Argus-powered intent data, targeting individuals who had shown high levels of previous relevant engagement. The other used standard data which aligned with the campaign criteria but who had not previously had any engagement in the topic area. Each data set was sent identical content in parallel timing to each other. The email results showed little difference between the two campaigns with CTRs in the 1-2% range and unsubscribe rates both below 0.5%. 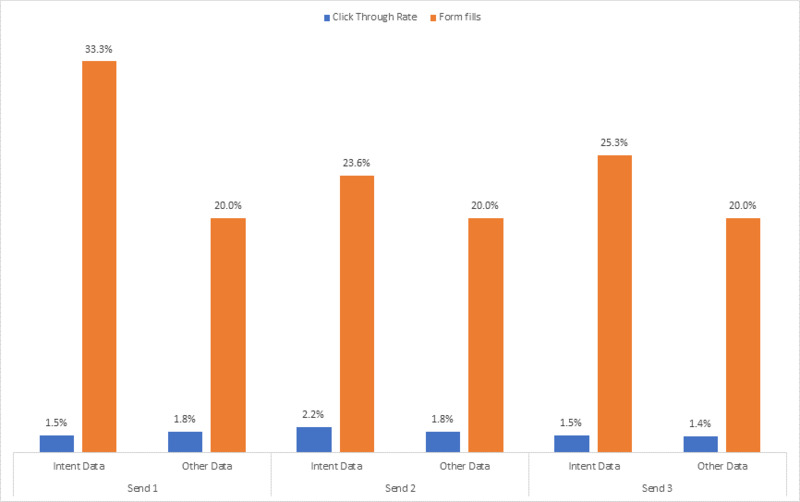 However, once the individuals reached the form fill page to download the content, the intent data was 38% more likely to fill in the form and take the content than those who hadn’t previously consumed relevant topic data. The numbers seemed too good to be true, so we ran the exact same experiment twice more with different campaigns to prove/disprove our original results. We were pleasantly surprised to find that the results were largely consistent with the original campaign. Argus, our intent-scoring platform, amalgamates multiple data sources to give a fully rounded view of an organisation, pulling in data from third party lead gen, email, telemarketing and online display activities. Having this view has enabled us to target organisations based on what they’re actually researching and interested in, and from this data we can also begin to see patterns of when organisations are engaging with certain topic areas. Based on these results we can see that intent data has a massive impact on the engagement rate of campaigns and this information will be used to focus our messaging in the future. When considering using intent data there are various different tools and platforms to consider. 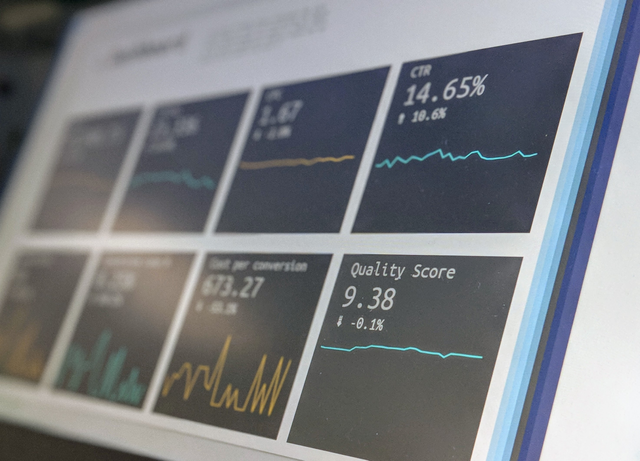 Marketing automation providers such as Eloqua and Marketo are arguably the market leaders in providing users with first-party intent data, whilst vendors such as Bombora and Leadspace provide accurate data across a variety of industries and topics and at a high volume too. "If someone is browsing your site – first-party data – it’s unlikely they are at the beginning of their buying journey. But if someone is browsing an independent site, geared say to purchasers of B2B technology solutions, then they are far more likely to be looking for objective advice and guidance that suggests an early enquiry that may lead to a later purchase." So you need a tool that can differentiate between these engagement sources to provide you with a true picture of your audiences intent. Kingpin's own Argus platform which amalgamates first and third party data to provide a complete view of engaging accounts is the ideal tool for this and is one that can be utilised by any of Kingpin's clients whenever they require. "If someone is browsing your site – first-party data – it’s unlikely they are at the beginning of their buying journey. But if someone is browsing an independent site, geared say to purchasers of B2B technology solutions, then they are far more likely to be looking for objective advice and guidance that suggests an early enquiry that may lead to a later purchase"